Pays d’Hérault is the IGP title for wines made in the Hérault department of Languedoc-Roussillon on the southern coast of France. Dark magenta. Soft red fruits, Rhone-like nose. Spice, vanilla and nail polish. Lovely, soft and fruity in the mouth. I paid a really low price for this. It tasted quite full (for a syrah) to begin with, then tended to fade as the glass sat there. Fruit heft was lost, and a metallic character became more apparent. Still, not too bad. I just drank it fast and enjoyed! This entry was tagged $, 2013, 3, Dom. 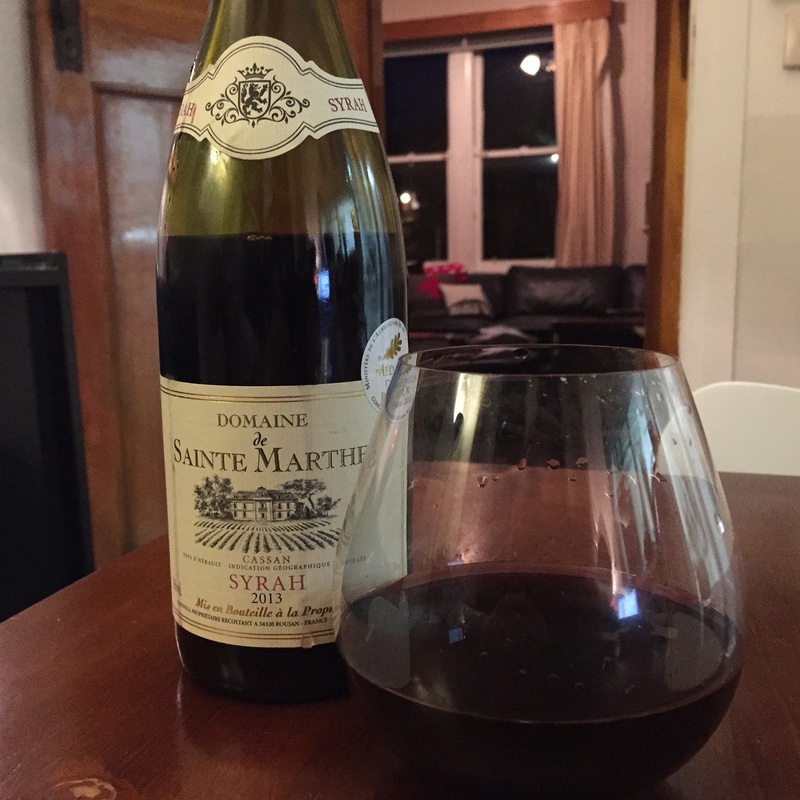 de Sainte Marthe, G, Off Topic, Syrah, Wine of France. Bookmark the permalink.